How many devices do you power via a USB cable? I have my smartphone, my iPad, a small laptop/tablet hybrid, my Roku, my Chromecast, two portable chargers that double as flashlights, my bicycle headlight, and probably a half dozen other devices. USB isn’t just for data anymore. It’s become a second standard for an electrical outlet—a way to connect a device to a power source. USB charging has become so ubiquitous for this purpose that it really should be available in your wall—next to the even more ubiquitous three-pronged electric outlet. That’s the idea behind NewerTech’s Power2U receptacles. Each one provides two USB ports as well as the two conventional grounded outlets. You can charge your device without looking for that misplaced AC adapter. You can charge two devices, and still have two outlets available. Plug in two AC adapters, you can charge four devices. It’s a nice convenience—if you have the patience to install one. And if it fit in your junction box. And if you don’t electrocute yourself in the process. I, for one, did not successfully install a Power2U. [Ed. I couldn’t pull it off, either.] Details to follow. 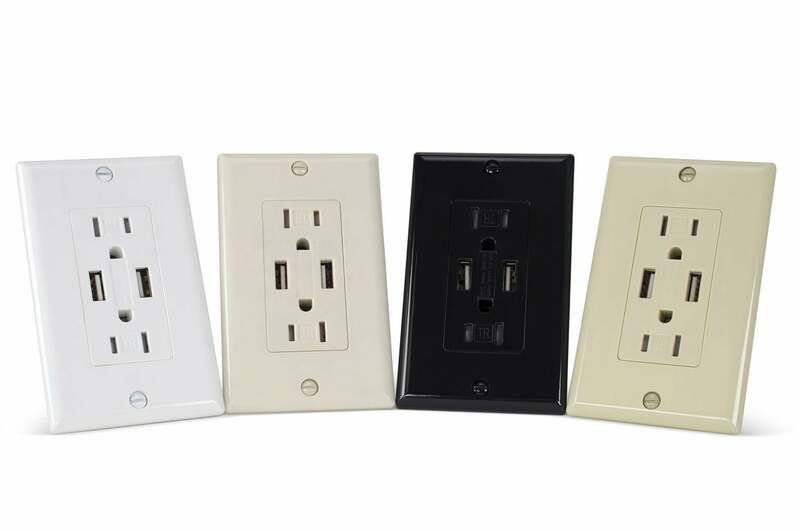 The Power2U is available in a variety of colors, so you can match the other outlets in your home. The Power2U is available in both 15- and 20-amp versions (many kitchens have 20-amp service so they can run countertop appliances, and it would be dangerous to run a 15-amp outlet on 20-amp wiring). Changing an electrical outlet can be dangerous. I don’t mean dangerousas in downloading an app that may compromise your privacy. I mean dangerous as in death by electrocution. Fortunately, the precautions for keeping you alive are actually pretty easy, although you will need a plug-in lamp and an assistant. Plug the lamp into the receptacle you wish to replace and turn it on. You should clearly see that the lamp is on. Leave the assistant looking at the lamp while you go outside and open your circuit-breaker box. Keep in phone contact with your assistant. Even if your breakers are labeled, play it safe and ask your assistant to verify that the lamp goes off when you trip the circuit breaker. Put a piece of colored tape on that breaker so you’ll know which one you need to turn back on when you’re finished. As long as that particular circuit is off, you’re safe. The experience of installing a Power2U will not kill you. But it still may frustrate you. The small instruction sheet that comes with the Power2U is nearly useless. Its four steps to installation, for instance, assume you don’t have to remove the existing receptacle. I found a slightly better manual online, with more details on how to connect the Power2U, but it still says nothing about removing the existing receptacle. The best advice you’ll find in either manual is a URL to an instruction video. And even that’s needlessly difficult if you’re not an Apple fan; it requires the QuickTime Player. Fortunately, if you click the Having trouble playing this video? link near the bottom of the page, you’ll get to the YouTube version. If you keep a laptop or tablet handy, and are quick with hitting Pause, this works reasonably well—even if you’ve never done anything more complicated than changing a lightbulb. You’ll need a screwdriver, and I recommend keeping a few handy because you may encounter several types of screws. A pair of needle-nose plyers might also prove necessary. Even with the video instructions, removing a receptacle may not be easy. Screws that have been inside your walls for years may not turn easily. And disconnecting the wires from the receptacle may prove awkward since you probably won’t be able to pull the receptacle out completely until you’ve detached the wires. You might have to work your fingers in very small places. Once you get the old receptacle out, you just might hit a figurative brick wall. I did. Twice. The bulk of the Power2U that must fit inside the junction box is much, much thicker than your average electrical receptacle. In fact, the Power2U is so big that your junction box might not be able to accommodate it. But there’s no easy way to discover that out until you’ve removed the existing receptacle. The Power2U is of gargantuan proportions compared to a conventional receptacle. According to the National Electrical Code, a set of safety rules set up by the National Fire Protection Association (which, despite the name, is a private trade association), the Power2U requires 16 cubic inches of free space. So you start with a ruler or tape measure, get the dimensions, and then multiply those dimensions. But that’s not enough. You also have to consider the wires and fasteners already there. And once again, finding the right documentation is a chore. The aforementioned installation video points you to an FAQ video that requires QuickTime (no YouTube option this time). With a bit of work, I found something better: a written FAQ that provides a quick overview. It also provides a link to a very long and complex explanation from the Electrical Construction and Maintenance website. I suggest you read it carefully. If you’re sure that your box is big enough, you can go ahead with the original video instructions and install the Power2U. But if your box turns out to be too small (my experience, twice) [Ed. 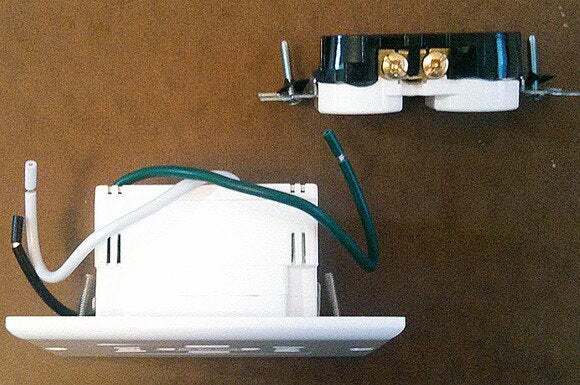 In my experience, the problem was with the granite backsplash in front of the junction box, and the Power2U broken into several pieces as I tried to maneuver it into the hole], you must reinstall the old receptacle (not always an easy task) and decide if you want to bother removing another receptacle and measuring another box. Since I couldn’t get the Power2U installed, I cannot tell you if it actually works. The 15-amp version of this product has been around for years, so let’s assume that it does. Even if I’d successfully installed one, I would not have been able to test its energy-saving claims. My trusty watt meter—the device used for such testing—is designed to sit between the outlet and the device you’re testing. It can’t test the outlet itself. But even if NewerTech’s claim that the Power2U’s “internal safety switch only outputs the charging power required by the attached device” is true, it’s still not a big deal. As I discovered when researching wasted, standby vampire power, USB adapters and cords waste too little power to measure, and may not waste any at all. 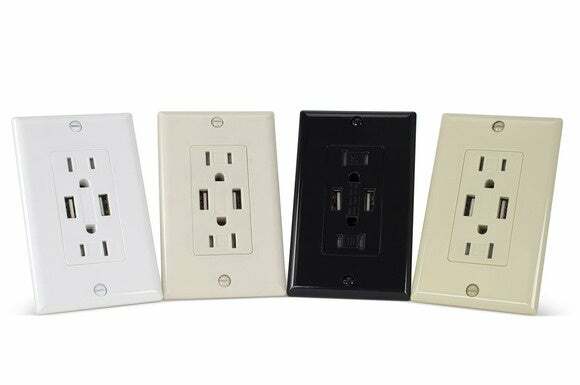 If you’re remodeling your kitchen (or another room), and new outlets are part of the plan, talk to your contractor about installing a few Power2Us. But unless you’re a skilled electrician or are looking for a new hobby, there’s no point to installing one. The advantages simply do not outweigh the hassle. If you’re willing to go through a considerable installation hassle, you can skip the AC adapter and plug your USB devices directly into the wall.